Lot 41 Brass Oval LNER 9X5 Steam Locomotive Worksplate. 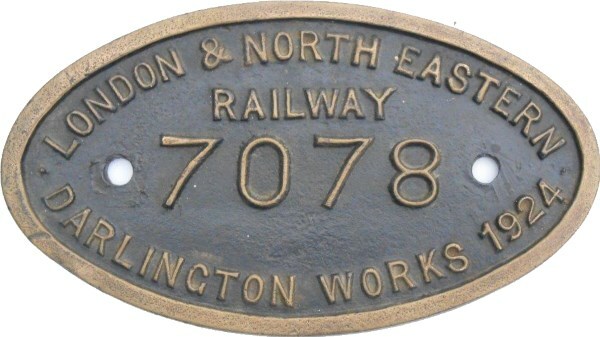 "No 7078 - DARLINGTON WORKS - 1924. As carried by a K 3 2-6-0 Loco. Good condition.